Do not try and bend the spoon. That’s impossible. Instead only try to realize the truth. 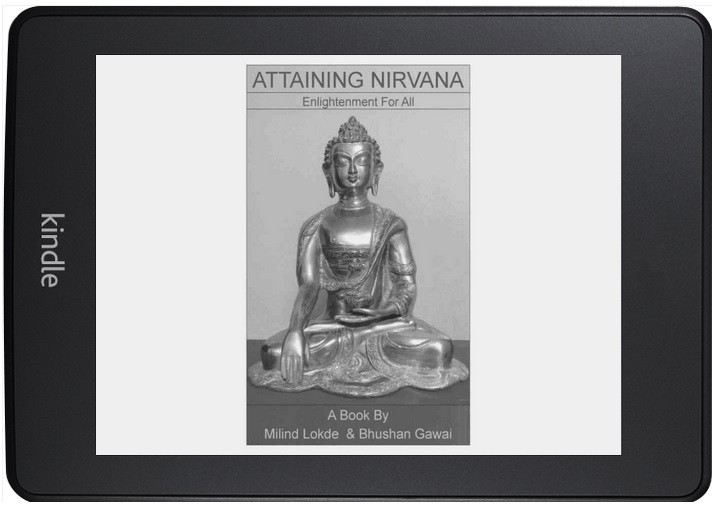 This chapter will give you the basic information you need to know to achieve Nirvana or to lead a life free from suffering. This chapter is also the base for the rest of the book. Actually Four Noble Truths in the title of this chapter is the base of teachings of the Buddha. Four Noble Truths is the basic teaching of Buddhism. Also this basic teaching is enough for a person to attain Nirvana. Buddha found the path to eradication of suffering. Following the path one can attain Nirvana and eradicate his sufferings. So we must first know what is suffering (This is the first noble truth). Then we must know the cause of suffering (the second noble truth) so that it can be eradicated. When we know the cause of suffering, how the suffering comes to an end (the third noble truth). When we know how the suffering comes to an end, we need to know what we need to do to eradicate our sufferings (the forth noble truth). 1. Dukkha (Suffering): Dukkha or Suffering is the First of the Noble Truth. Also Buddha’s teachings revolve around suffering and accepting it as reality, as a truth, and eradicating it with knowledge and understanding. So what exactly is suffering? Suffering is, not getting what one wants. Suffering is, getting rid of what one doesn’t want. Suffering is, fear of not being with our loved ones. Suffering is illness, old age and death. As suffering forms the base of the Four Noble Truth and Buddhism, Buddhism is often thought as a pessimistic religion. We can compare suffering as disease. Just like knowing the disease is not pessimistic but realistic as it will help us diagnose the disease right and help us get cured soon. Similarly knowing that suffering exists and knowing its nature we will be better able to eradicate our suffering. 2. Cause of Dukkha (Suffering): Desire/attachment is the root cause of suffering. Desire to get wealth, get power, get love, get peace, get rid of disease and pain, get rid of poverty, get everything that we want and get rid of everything that we do not want. This desire causes in our mind Ignorance, lust (Greed) and anger – the base defilements of our minds that are cause of our suffering. 3. Cessation of Dukkha (Suffering): With the cessation of desire, the cause of suffering, the suffering also comes to an end. This is the Third Noble truth. 4. Path to Cessation of Suffering: By following the Noble Eight Fold path Dukkha comes to an end. The Eight Fold Path is grouped into three – Sila (Morality), Samadhi (Concentration), Panna (Wisdom). Three universal truth: We have seen what is four noble truth. While the four noble truth gives us not just hope for the end of our sufferings, but also shows the path which can be followed to end the sufferings, the 3-universal truths is the only thing, the knowledge of which leads to end of suffering and to Nirvana. To really grasp the universal truths we need to understand and follow the four noble truths. So what are the three universal truths? Anicca (impermanence): All things in this world is impermanent. Anatta (No soul or substantialness): There is no permanent soul or substantialness in anything material or immaterial. Dukkha (Suffering): There is dukkha in attaching to everything that is conditioned by mind. Anicca: Anicca in english means impermanence. This is the first universal truth. Everything that has a beginning comes to an end. In this context everything is impermanent. Everyone knows that. Really? Do we really recognize that our friends, neighbors, relatives, family and we ourselves are impermanent? Do we recognize that our pen, books, dress, car, house, etc are impermanent when we interact with them? When we all know that our earth, moon, sun including our solar system are impermanent and have a finite life span, why do we all fight for petty impermanent things on earth? Wait! There’ more. Do you know that your thoughts, feelings, sensations, emotions, are impermanent too! Anatta: Anatta means without self or without soul. It is a popular misconception that there exists a permanent soul within us that remains with us from our birth till death, and for those who believe, after death gets transferred to be reborn as another life. Instead, what we call soul is a continuous link of our ever changing memories or consciousness that is attached to our ever changing physical body. Let us experience it. Are you the same person you were 10yrs ago either physically or mentally? Are you the same person you were 5 yrs ago? Are you the same person you were last week? Are you the same person you were yesterday? Are you the same person you were 10 minutes before? The answer is obvious. No. Why? Because you have changed physically during this time. There has been a lot of biological changes inside you and the changes are continuous. This apart your likes and dislikes, your values, your thoughts, your personality, your knowledge, everything has changed. So how can we call ourselves the same person we were since childhood. How can we have a permanent soul, if it keeps changing so much? The point is, there exists no permanent soul, there is no self, there is no I, no me, no us, no them. It is just a name or identity we use for communication and identification purpose. It’s the duality of name and form that gives us the impression of permanent soul or self. We have been carrying this false concept all our life. What we call self or I is physical and mental link at a point in time. This has to be realized. This is Anatta. Dukkha: Dukkha is one of the three universal truths. It is common to all living beings and hence Buddha’s teachings are applicable to all living beings of all world systems(discussed later) alike. We have already seen what is dukkha or suffering. We have seen dukkha as suffering, as not getting what one wants, getting rid of what one doesn’t want, not being with our loved ones, illness, old age and death. Now we see Dukkha as unsatisfactoriness. Dukkha or suffering or unsatisfactoriness which arises due our wrong understanding of Anicca and Anatta and Dukkha itself. We see impermanent as permanent and get attached to it, which causes Dukkha. We see Anatta or not self as Self and attach to things as my or mine or ours or theirs, this causes suffering. We do not realize Dukkha or suffering or unsatisfactoriness as Dukkha or suffering or unsatisfactoriness, which also causes Dukkha. If each of our thought, speech and action is based on the realization of these three universal truth then there will be no further desire, no further defilements, thus leading us to our goal of Nirvana. Morality is an important base for attaining Nirvana as mentioned above in Noble Eight Fold Path. These five precepts or panchsila provides an important and simple guideline for laymen about morality. 1. Abstaining from harming or killing living beings. 2. Abstaining from stealing or taking what is not given. 3. Abstaining from sexual misconduct. 4. Abstaining false speech, harsh speech, slandering and vain talk. 5. Abstaining from taking intoxicants. (Intoxicant is anything that affects the normal functioning of mind). 6. Abstaining from listening to music and other entertainment which affects our presence of mind. 7. Abstaining from taking high and cushioned seat which makes us lethargic. 8. Eating once a day but not after sunset, to maintain control on our greed. Previous Previous post: 1: What is Nirvana?